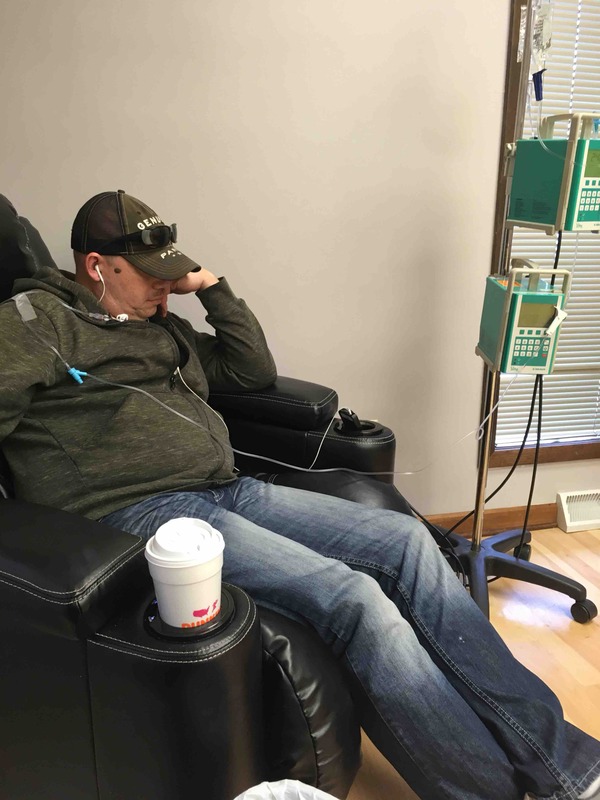 Jon is beginning chemo therapy on 2/6/19 and with the health complications he’s experiences so far, he has been advised not to work. He’s always done his best to support Elisha and I, but his hands are tied this time. We would appreciate your prayers any help to make ends meet during this time. We are so thankful for all we’ve been through and we know our Father is using this for good. Thank you, everyone, for being part of our family. Round 4 of chemo today! We’re over half way. 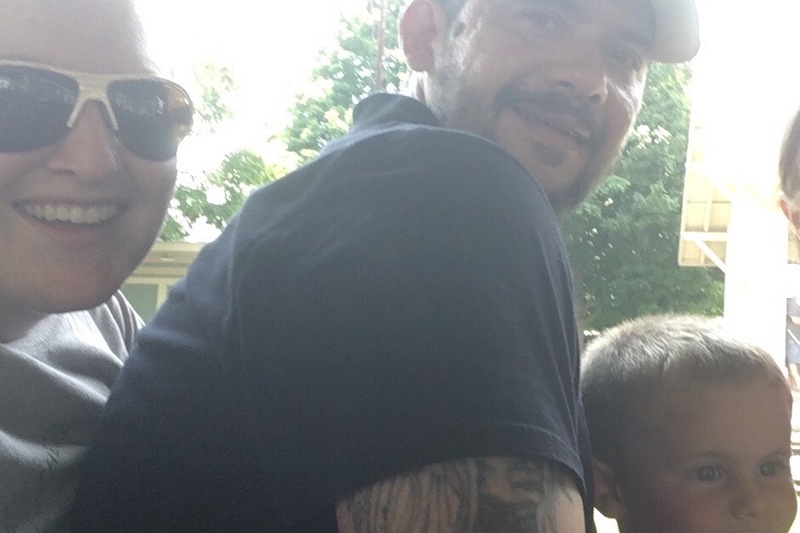 Jon got a CT scan last week which showed significant improvement since starting chemo. All of the enlarged lymph nodes in this abdomen are back to normal size. To put things into perspective, his abdomen was so full of enlarged lymph nodes before treatment that they did not even try to record location or measurements on the results. So that’s a huge difference and a huge praise! It looks like the only area where there still is cancer is under his arm. We are praising God for this! When he is able to get another PET scan, we will have an even better idea of actual malignancy left as opposed to just going on the size of lymph nodes. Our insurance would only approve a CT right now. The good news is, the chemo is working! We know that for sure. Today there was some discussion of whether or not to do chemo this week due to Jon’s platelets being low. They decided to go ahead with it with extra labs and monitoring. Jon will need to be on prednisone again after just getting off of it. Prednisone isn’t nice to anyone, but it seems to particularly affect Jon. Between the chemo and the steroids, he has been dealing with a lot of anxiety and is having some panic attacks. Please pray for peace for him as this is one of the most upsetting things he deals with from this chemo regimen. His physical symptoms are likely to be worse the next week or two as his body seals with everything that will be pumped through it the next couple of days. Please continue to pray that he will remain free of virus/infection. Jon's chemo went well last week. He has been dealing with the side effects ever since. This round seems to be a bit more rough on him than the last round. Say a prayer for the poor guy to be feeling better soon! He will be getting a PET scan before the next round of chemo, so we are excited to see the progress! That's all for now folks! Thanks for all your prayers and support! Today’s ride to the doctor was exciting! We got caught in a hail storm and had to hide out under an overpass for a while. It was 60° the whole time though, so I can’t complain. Jon’s platelets are extremely low again as we expected they might be. Once again the doctor “legally” had to suggest admitting Jon to the hospital with platelet counts that low but agreed on treating it at home as that worked well last time. So it’s more steroids for the poor guy, but the doctor has made some adjustments in the regimen to try to lessen the side effects. Prayers please that his counts will go up wonderfully like last time and he will be able to get chemo on Thursday as scheduled! Hey everyone! Sorry I haven’t updated in a while. We are getting the hang of the new cycles of “normal” which chemo and I forget to keep everyone else posted. Jon continues to do well all things considered. His biggest struggle has been the need to often be on steroids either as part of his chemo or to boost his platelet counts. This go around, it seems the side effects of the steroids and then his body crashing after being on them seems to be worse than the side effects of the chemo in some ways. They make it hard to rest or relax which is not helpful when your body is exhausted from the cancer and treatment. They also compound the anxiety side effects of his chemo meds and that is really tough. We are working on figuring out the best medication regimens to try to lessen some of these side effects. We are a week out from his next chemo round. About this time I’m his last cycle was when his platelets dropped and he had to go back on the steroids, so we are hoping that his bloodwork is still good this Thursday so we can avoid that. Other than that, Jon is mostly just coping with fatigue at this point. He just needs to ration out his times of being active and not overdo it. I am on spring break this week, so we are trying to take advantage of all being home together for a week. 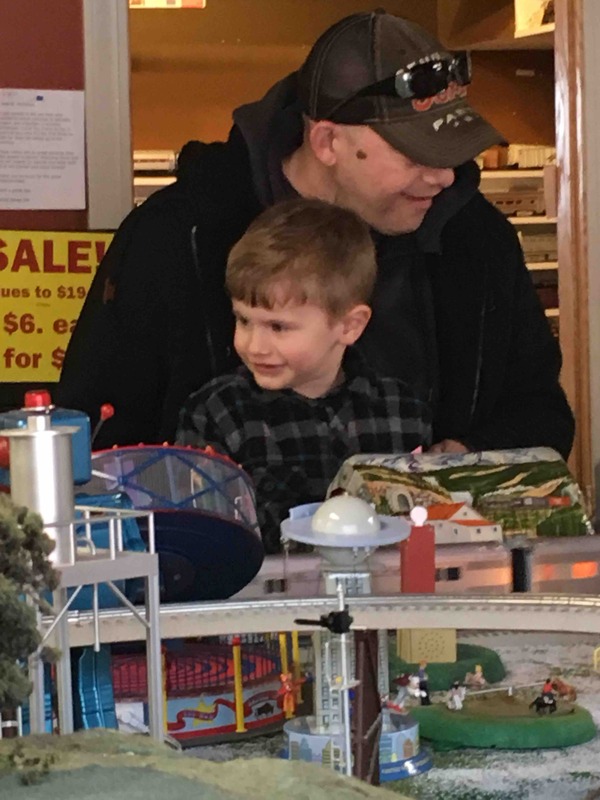 Yesterday we went to the local train store to watch the model trains. As you can see in the picture above, we all enjoyed it! At night we had tacos and watched a movie. We are looking forward to a few more fun days as a family this week before I am back to school and Jon has chemo next week. After the next treatment, he will be half way done! Thanks again for all your prayers and support!